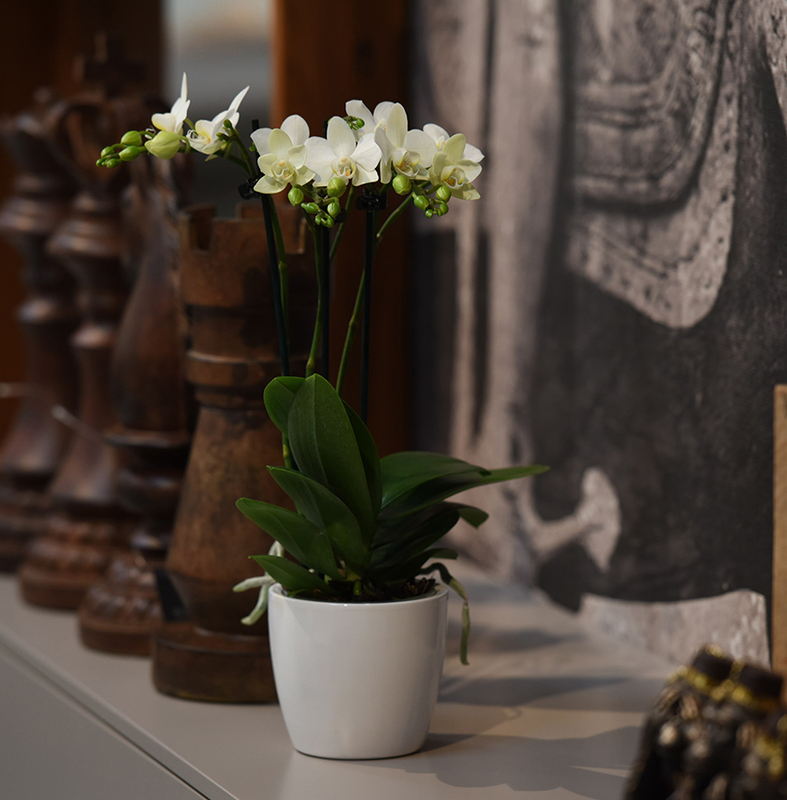 The shape of these Phalaenopsis orchids reminds us of the aquiline nose of Dante Alighieri! 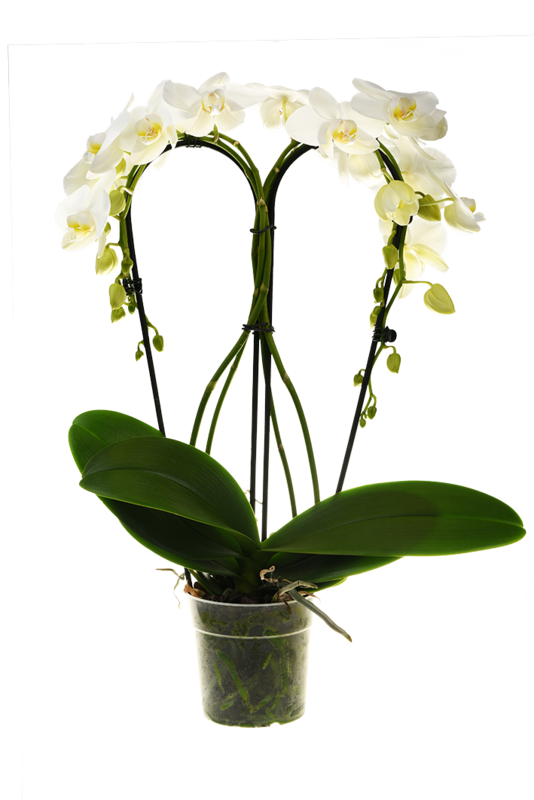 On one or two stems, on which the branches have previously been cut, this particular shape has a cascade of flowers with captivating beauty! 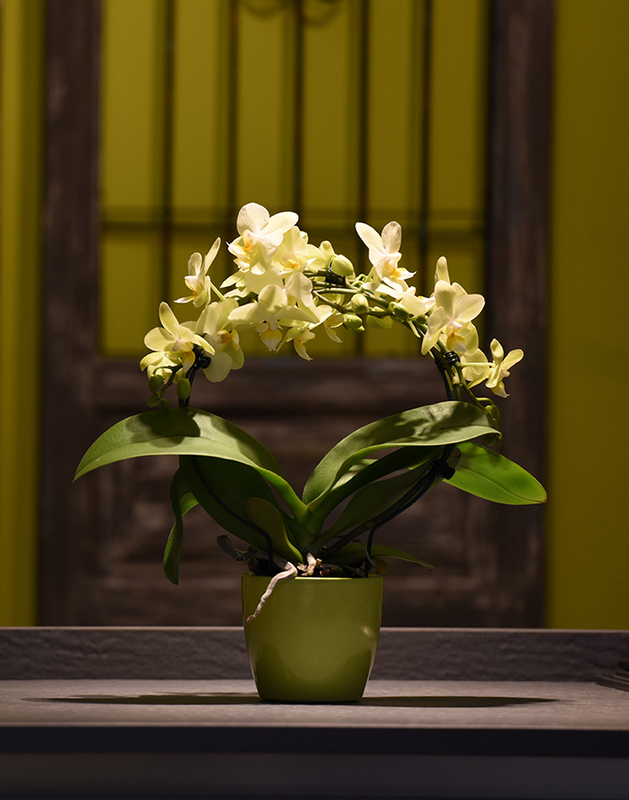 Round, like the famous circle of the great Florentine painter, Giotto Phalaenosis orchids have a unique refinement. A simple shape but at the same time one of great style and elegance! Who other than the great Italian writer could give his name to such a poetic shape! A heart for mother or girlfriend, but also for a dear friend, to show our feelings and… leave them speechless! 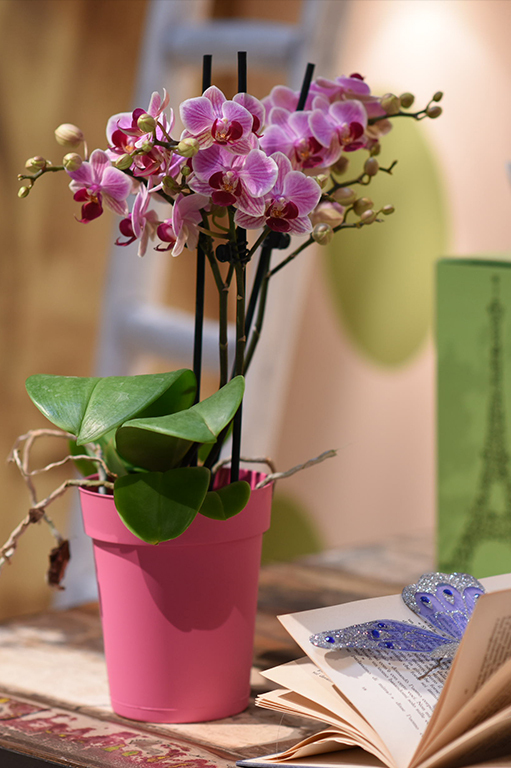 Three flexible stems, an umbrella shape and a special person to give it to as a gift are essential to get a Leopardi Phalaenopsis orchid! And, of course, the hands of the artists of the Menin company! 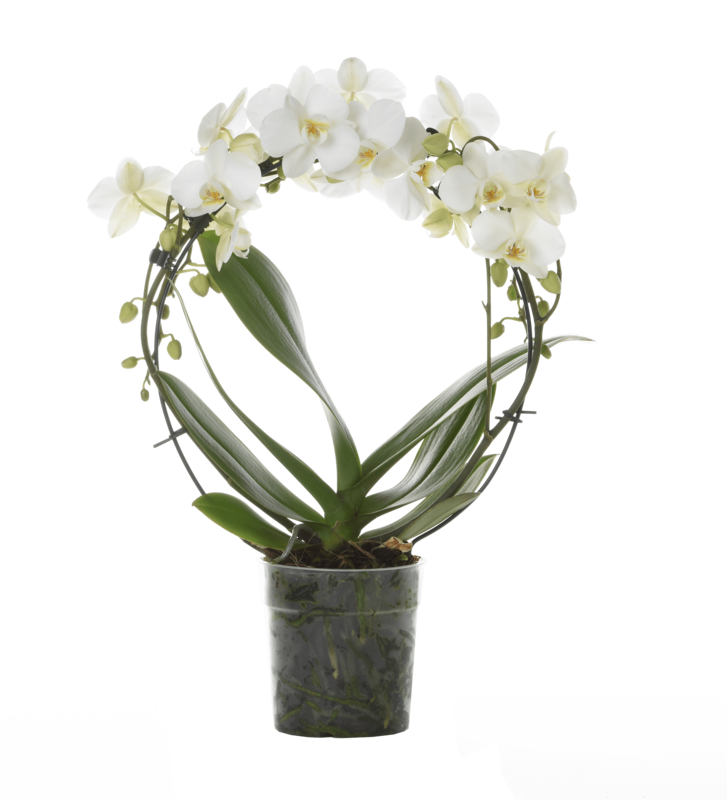 Fascinating curves of flowers give Caravaggio Phalaenopsis orchids a special spiral shape! With their graceful proportions, and also because of their simplicity, they are perfectly suited to any environment! 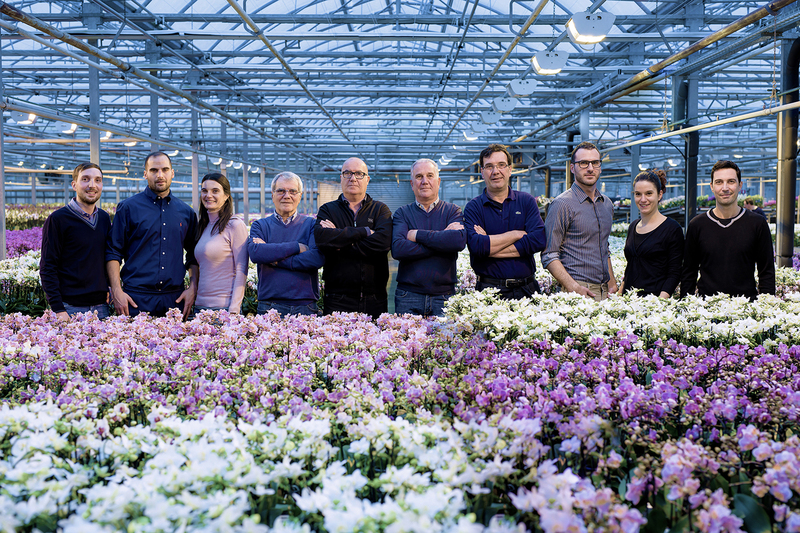 From us to you… because our plants are produced entirely in Italy. 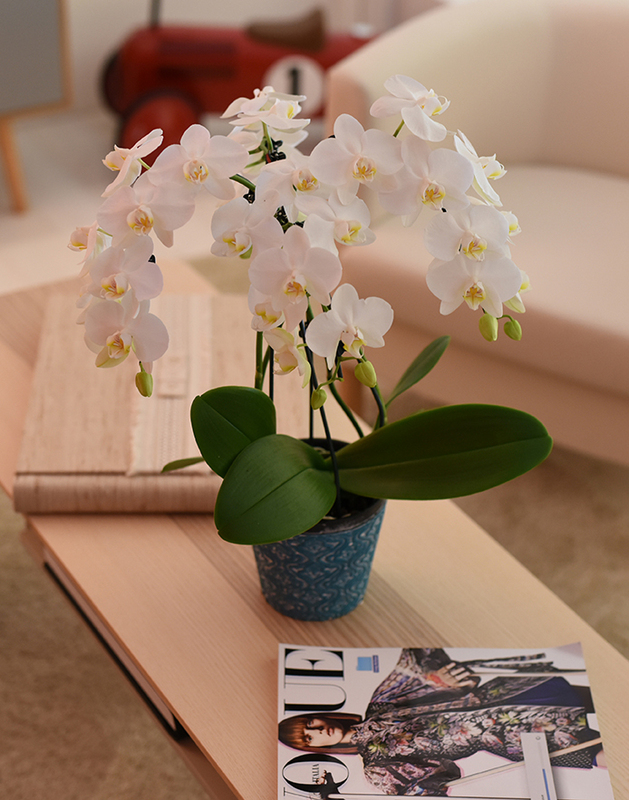 From us to you… because we water and pack them within 24 hours from when they leave, reaching the end consumer quickly, without the stress of long journeys. 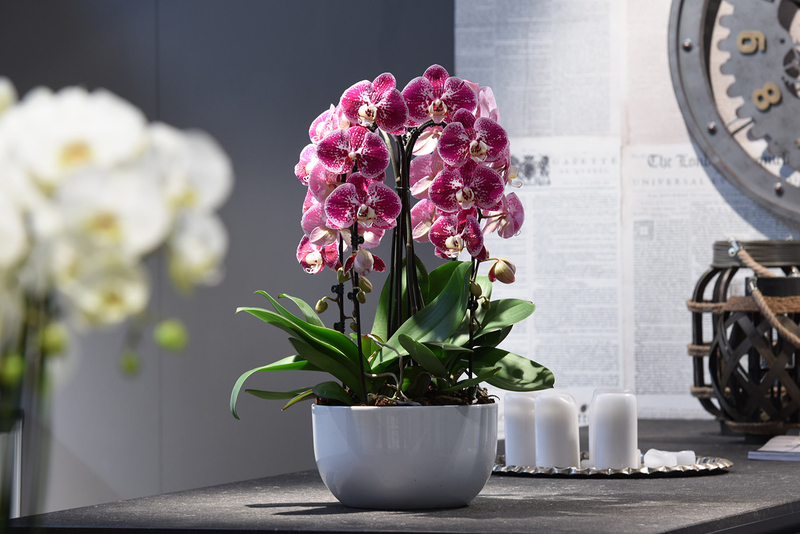 With almost half a century's experience in the plant nursery sector and over 25 years in growing Phalaenopsis Orchids, our family-run company is the leading orchid-producing company in Italy. The Menin company started with great dedication by four brothers, at a time when the only source of wealth consisted of strong arms and resourceful minds, and over the years six younger relatives and around forty employees joined the work force. 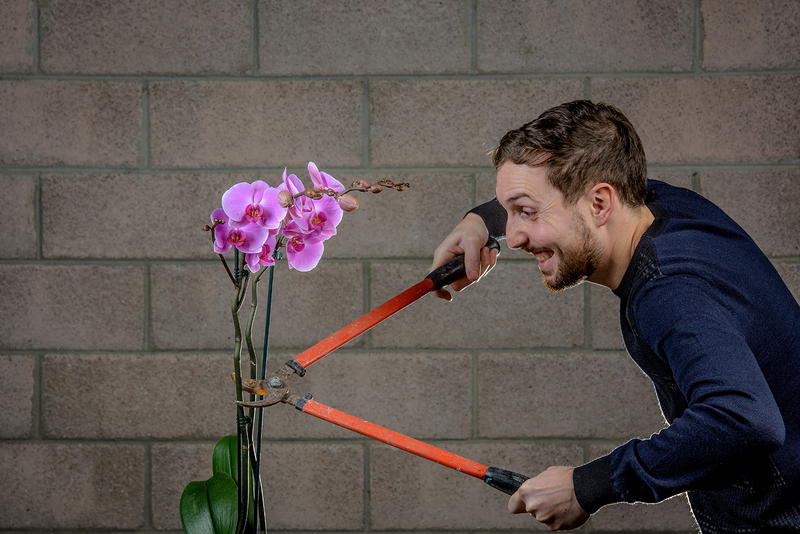 Every year, our company produces over 2 million Phalaenopsis orchids. It has a production area of 60,000 m2 containing modern state-of-the-art greenhouses. 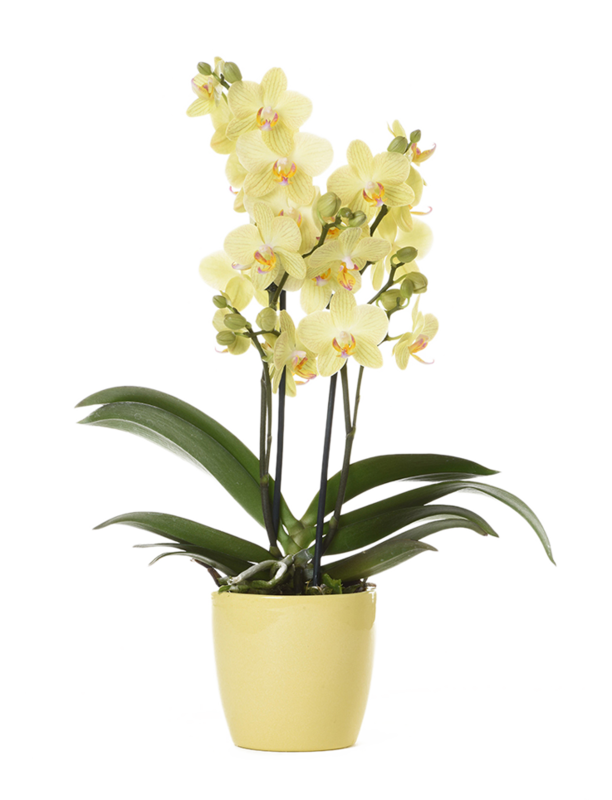 The plants are sold to wholesalers, who provide the end consumer with a top-quality fresh product, produced entirely in Italy. 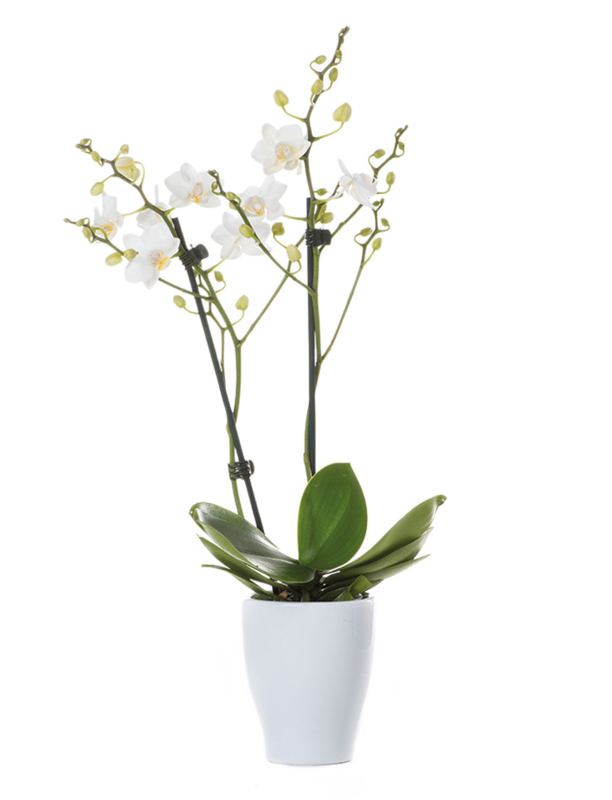 The plants we produce have to be long-lasting, fresh and beautiful. 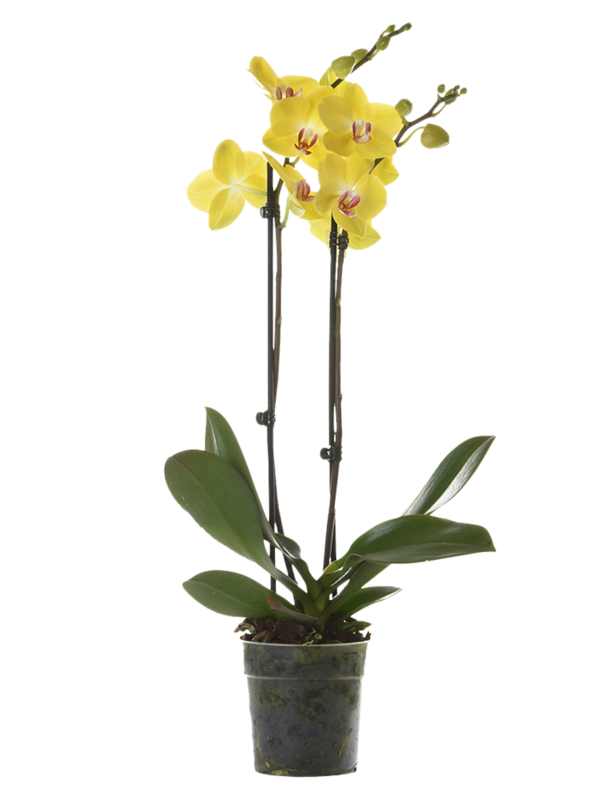 We create strong orchids by careful cultivation and observance of the natural production cycle times. 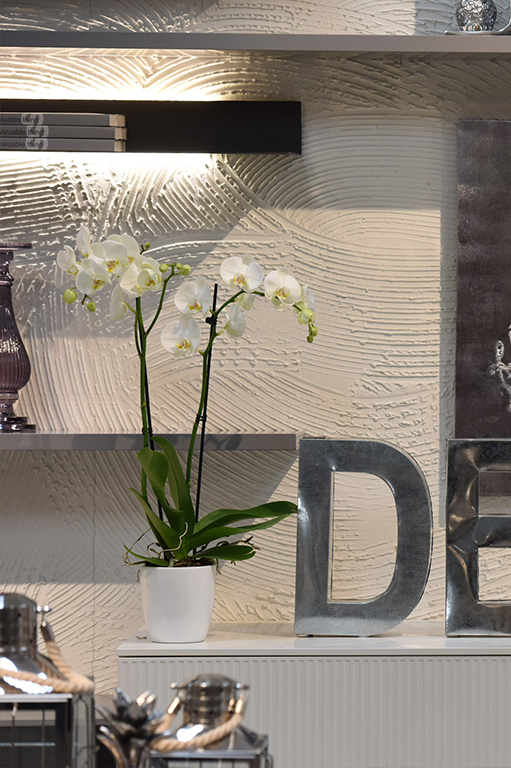 Passion, commitment, devotion and an artistic touch are the basis of our company policy. Passion which we have for the plants; constant and continuous commitment never to let ourselves be overwhelmed by a continuously developing market; complete devotion to a living product which, as such, needs loving care. 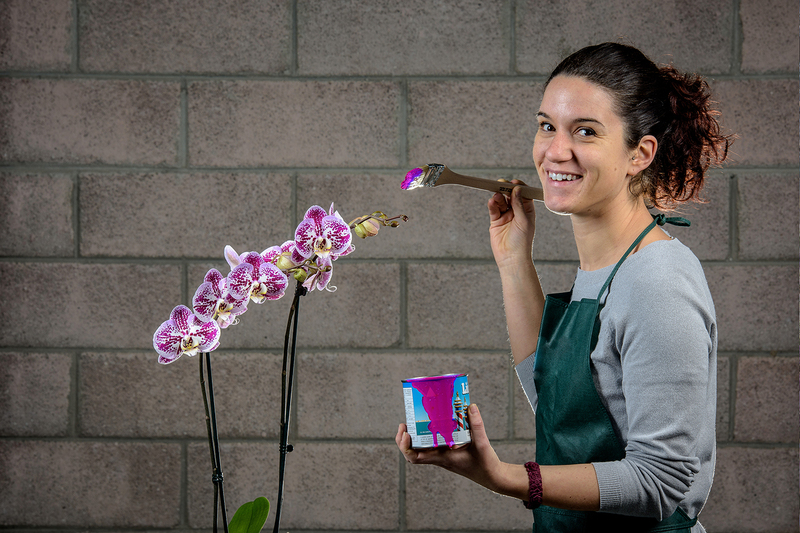 Art, to give the plants we produce, which are already one of a kind, a touch of originality and magic. We have the environment at heart and we are committed to our production being sustainable. 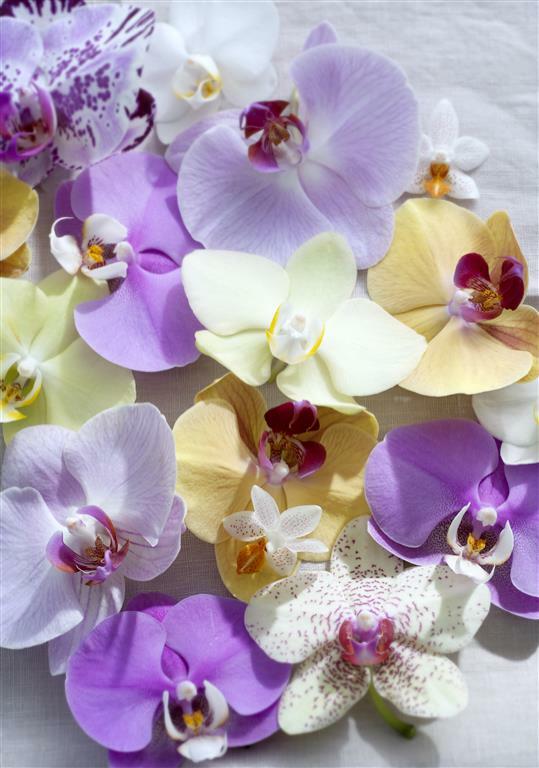 A solar energy plant and cogeneration unit with fume recovery produce clean energy to grow our orchids. A rainwater collection system in storage tanks allows us to water without needing to use the mains water supply. 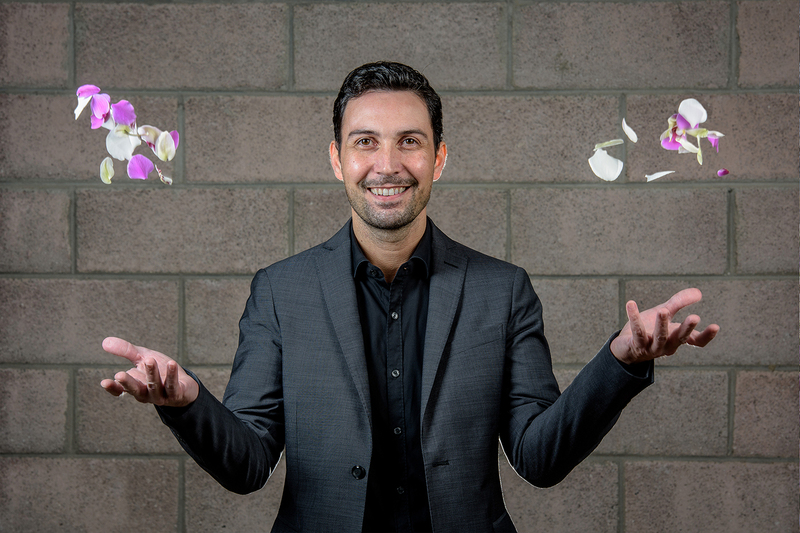 We invest every year in new technologies, which allow us to be ever more competitive in a continuously developing market. 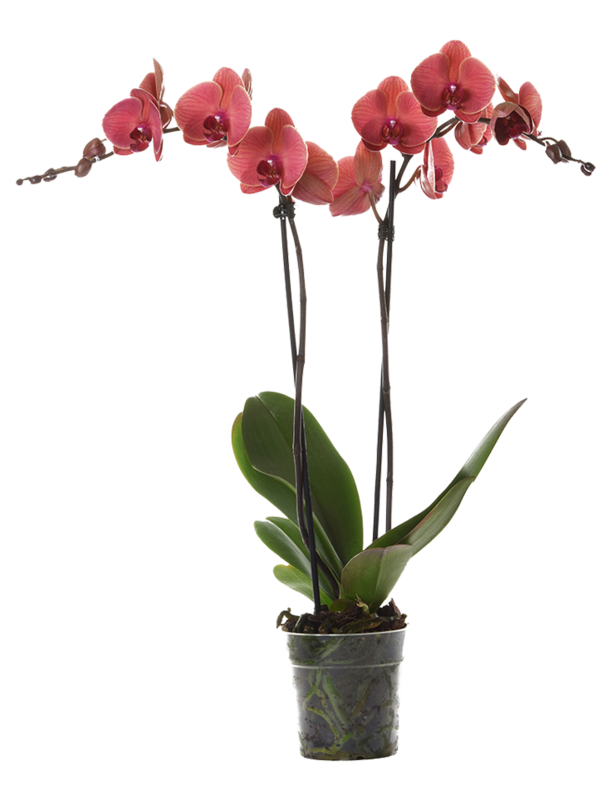 Michelangelo Phalaenopsis orchids are a complete combination of strength, vitality and beauty. Large luxuriant plants, grown over longer periods, produce strong stems and branches of stunning beauty! With 2 or 3 very long stems they are the “ bottone all’occhiello” of the collection. 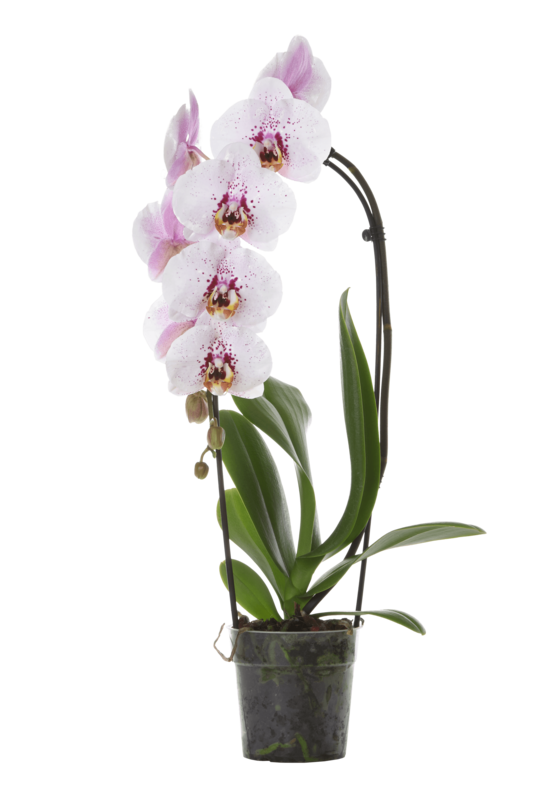 Michelangelo Phalaenopsis orchids have large flowers, long branches and a wide range of colours and shades. 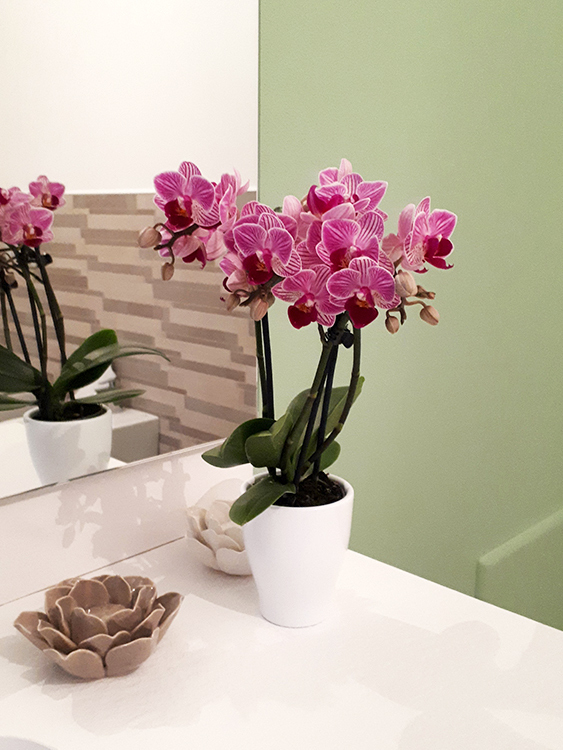 As there was with Michelangelo, the great painter, sculptor and artist, so there is a line of Phalaenopsis of great beauty, high quality and long life! 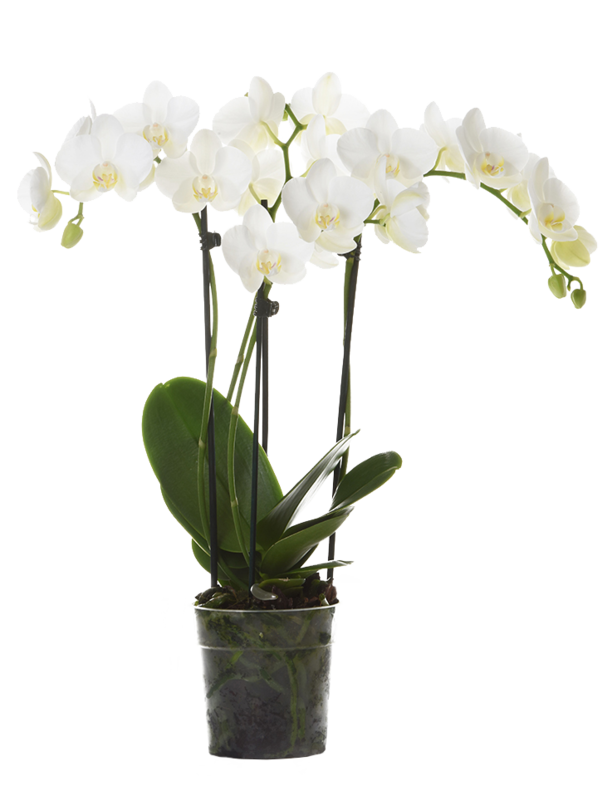 Raffaelo Phalaenopsis orchids have a rare beauty and well-proportioned elegance. 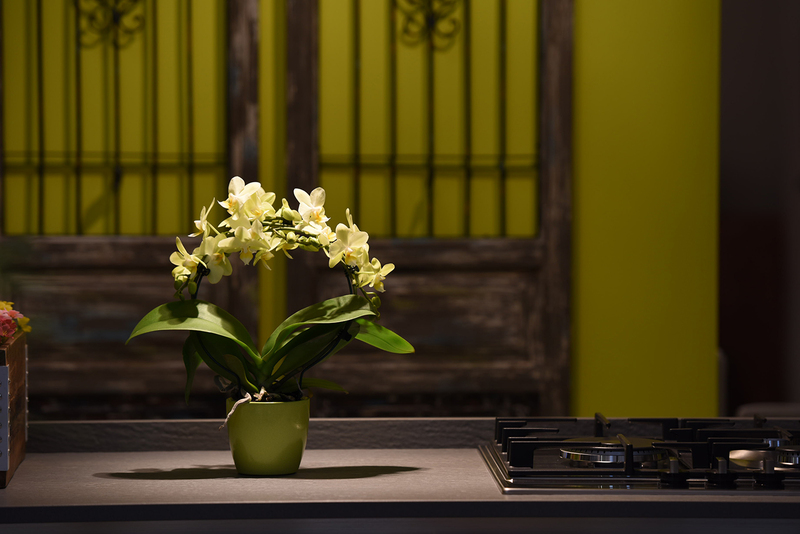 As with the paintings of the famous artist from Le Marche, they are rich in colour and are distinguished by a perfect harmony between the size of the flower and the height of the plant! 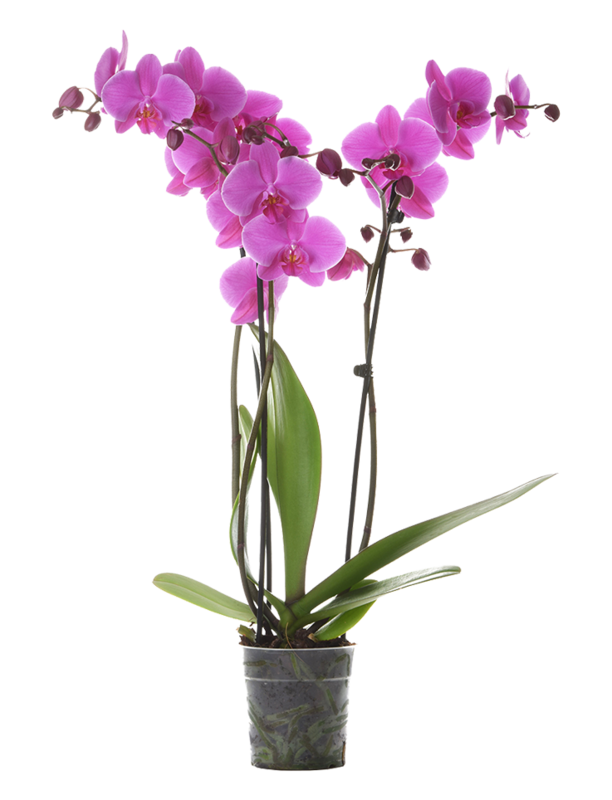 Donatello Phalaenopsis orchids, with a cloud of small flowers of different shapes and colours, are varieties chosen for their special size. 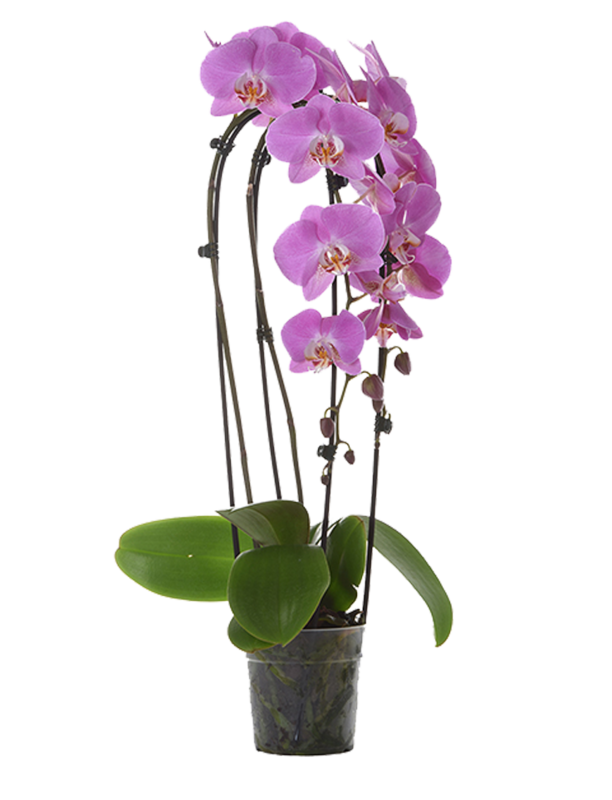 Although they are less common, but nevertheless no less worthy of appreciation than the other lines, as for that matter was the famous sculptor, Donatello Phalaenopsis orchids have a totally stunning and luxuriant look from their richness in full bloom. The collezione Maestro (Master collection) has special handmade shapes. 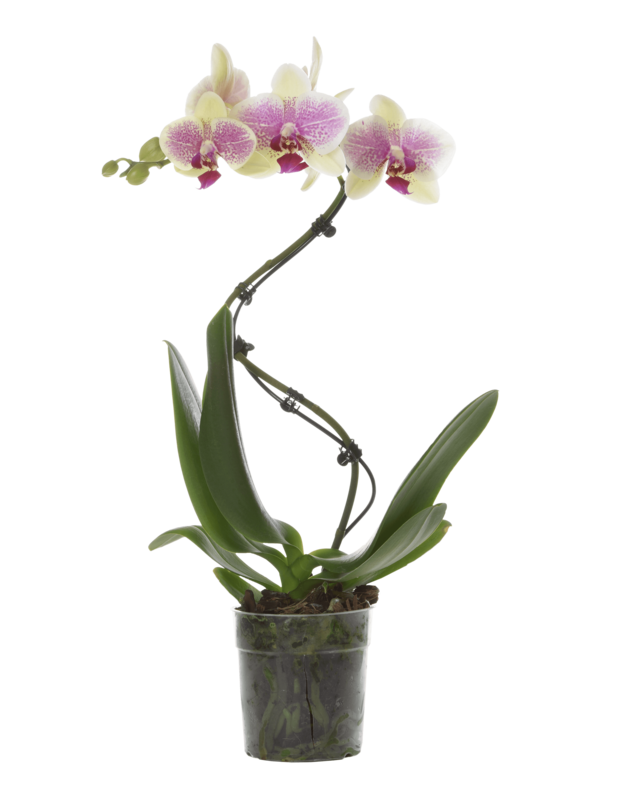 The originality and distinctiveness of these artistic shapes, created by highly specialised craftsmen and women, with great care and attention to detail, give them an added value over and above all the other lines of Phalaenopsis. 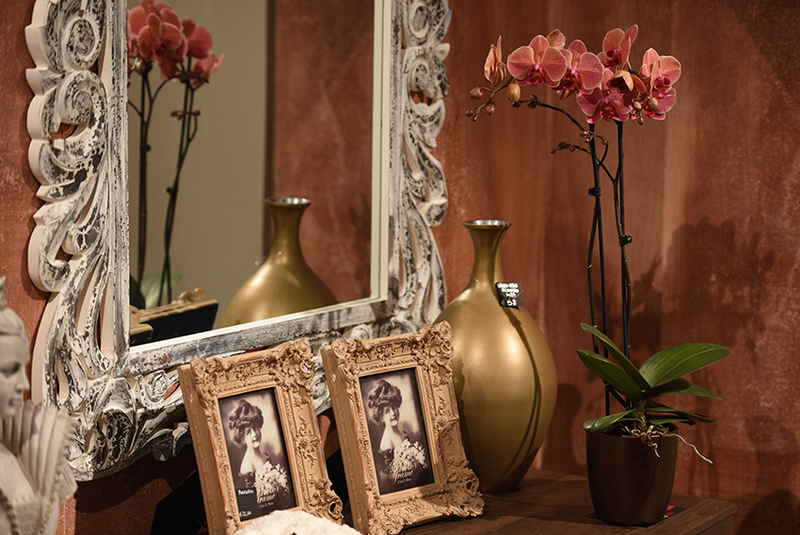 Inspired by the Venetian romantic figure, Casanova Phalaenopsis orchids are the pièce de resistance of our production! 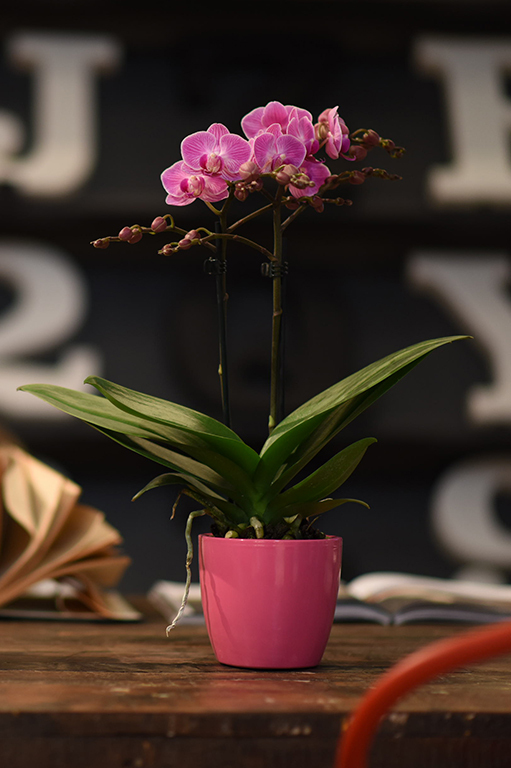 Well-proportioned in their ceramic pot in matching tones, they provide a touch of colour and vitality to any surroundings and win the heart of those who see them! 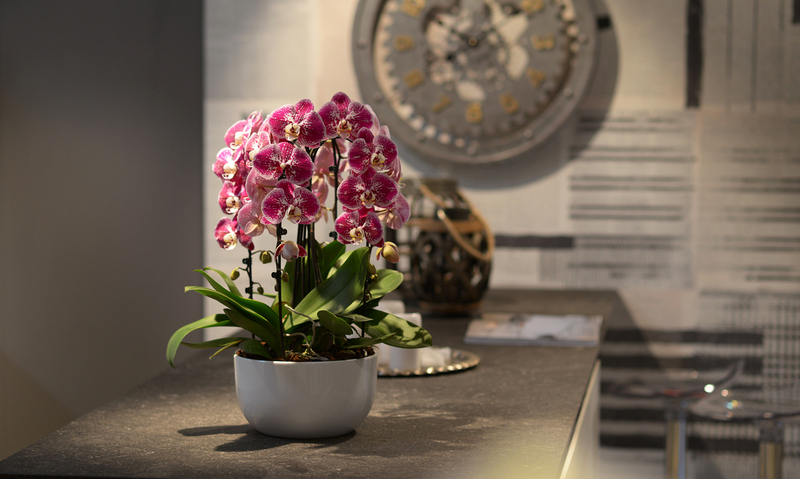 A riot of flowers, in a ceramic bowl 24 cm in diameter: that's the Divina! 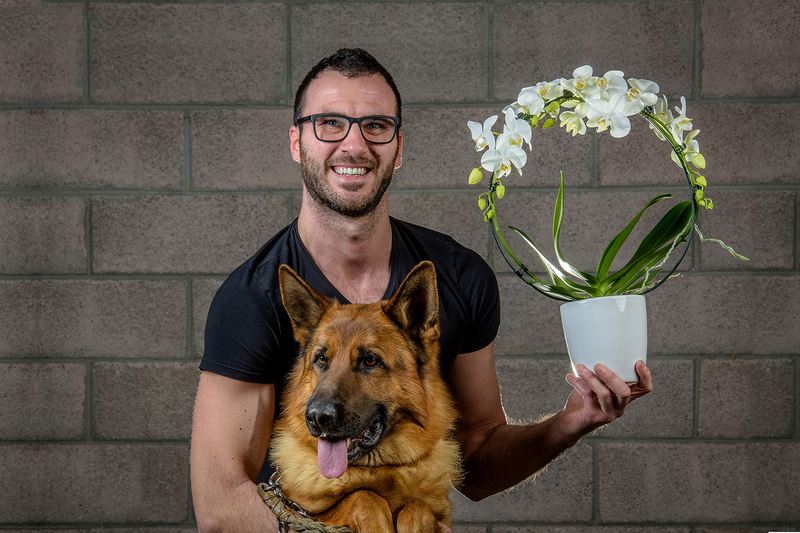 Inspired by the famous literary work, it is the result of bringing together 4 Dante plants cleverly combined in a creation that is one of a kind! Particularly suited to offices, large drawing rooms and hotels, it will provide even the most modest environments with radiance and grandeur! 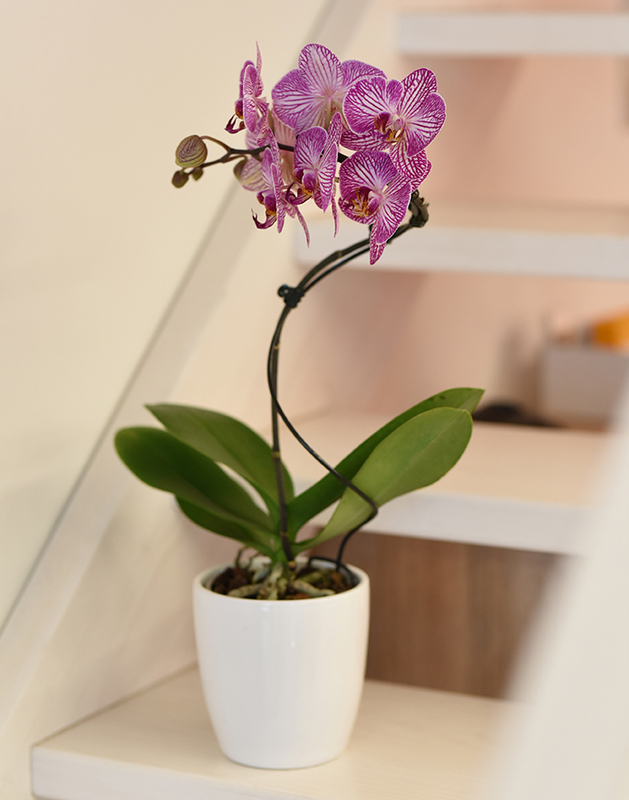 Small and therefore suited to the most confined spaces, but perfect even in the most unexpected corners of larger areas, they provide a touch of colour, elegance and originality to all surroundings! 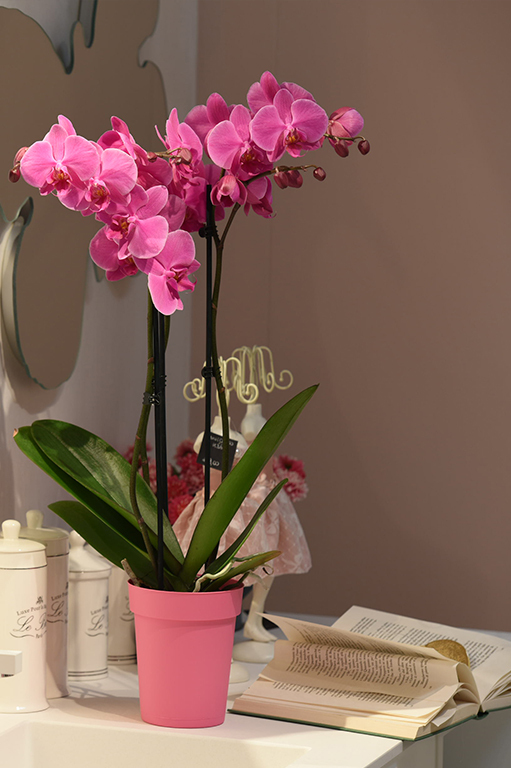 The ceramic pot, with a water supply, guarantees long-lasting flowering. 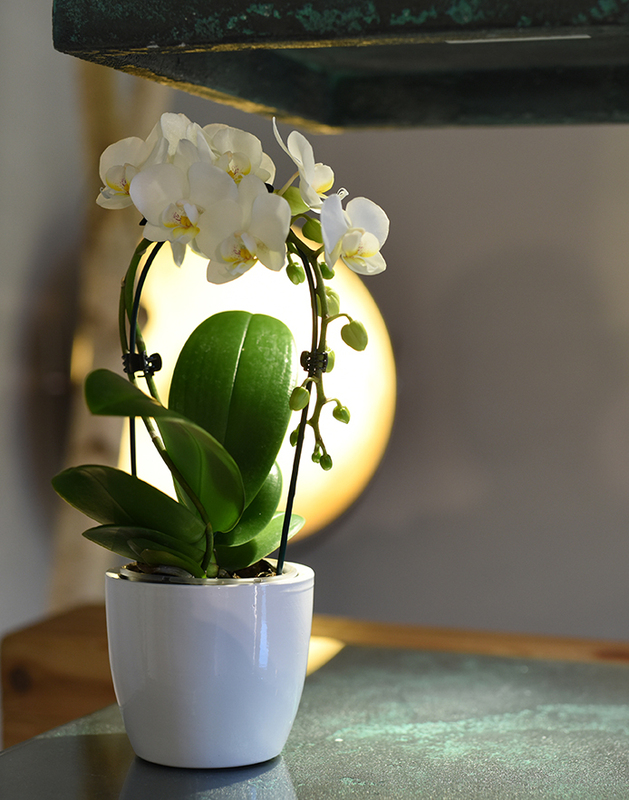 The Phalaenopsis orchid loves well-lit sites. The ideal position is near a window, although not directly exposed to sunlight. 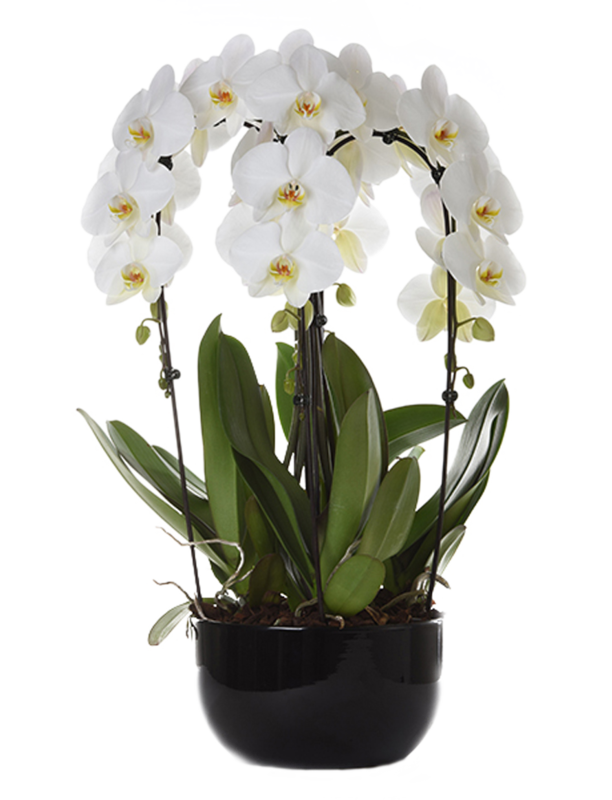 Water it every 4/5 days, leaving the plant immersed in a container with several cm of water for around ten minutes. Don't let water stand around the base of the pot. 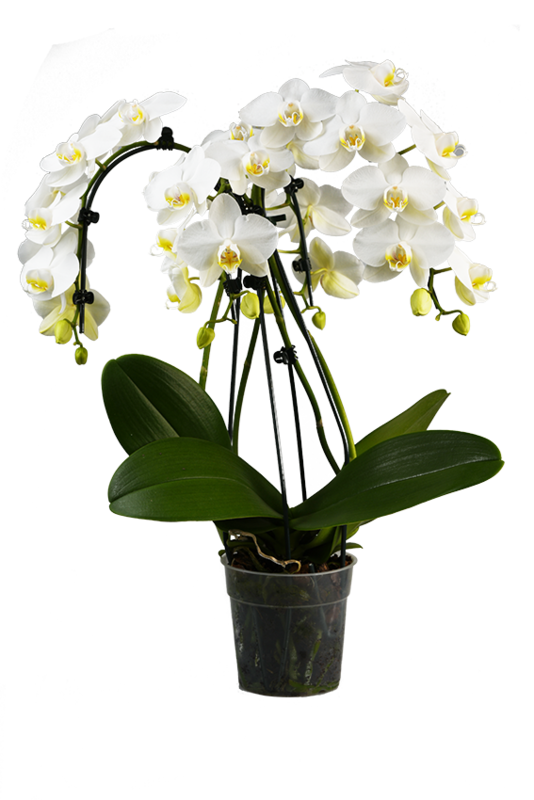 In order to ensure a new flowering, it is absolutely necessary to keep the light levels constantly high. Keep away from heat sources, from environments exposed to draughts and from ripe fruit. Add flowering plant fertiliser once a month. 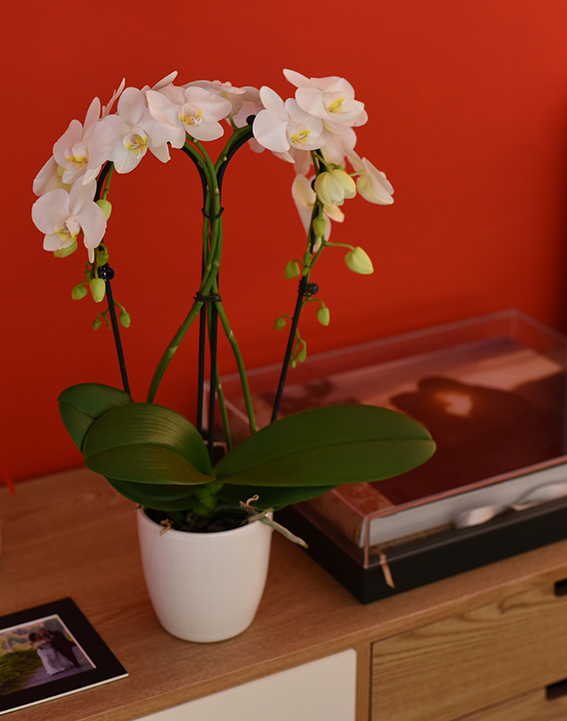 With good light, temperature and bright conditions, flowering can last for over 3 months. When the flowers have gone, the flower stem can be pruned between the second and third internode. The internode is a thickening of the branch. As time goes by, a new branch will grow out of the point where the plant was pruned.